Should I Really Be Looking for a Fixed Rate Mortgage? Mortgage rates are on the rise, which may lead you to believe that a fixed rate mortgage is the way to go, but it is it? There’s no denying the fact that there’s security in knowing what to expect from your mortgage payments. In fact, that security may become a blessing in the near future. Either way, it pays to fully understand fixed rate mortgages and their pros and cons before jumping head-first into your next loan. A fixed rate mortgage is just what it sounds like. Through the course of your loan, the interest rates will remain the same, even if the rates go up or down. The most obvious benefit is not getting stuck with a higher interest rate somewhere down the road. Another benefit is always knowing what you’re going to pay each month. Fixed rate mortgages are also easy to understand. The payment schedule is straight-forward and remains the same over the course of the loan. Think of the fixed rate mortgage more like a car loan. You make the same payment each month on the same due date. One of the biggest cons is that the payments can be less affordable than other types of loans, especially when interest rates are high. Fixed rates loans also usually carry a slightly higher interest rate than other types of loans. 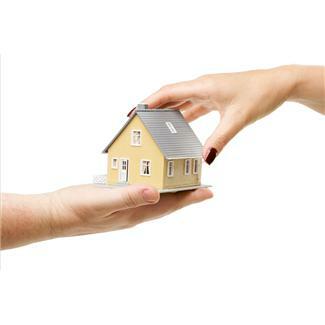 This means the home buyer will be forced to purchase a smaller home. Then there’s the most obvious drawback. Interest rates may fall after the loan is secured, which means you’ll be forced to continue paying a higher price or trying to refinance and even refinancing may not help you in the long run. Is Now the Time for a Fixed Rate Mortgage? With interest rates higher than they’ve been in a couple years, you may wonder if getting a fixed rate loan is the best option. You can always take a gamble and hope interest rates fall, but that may not happen for quite some time. A fixed rate mortgage offers peace of mind that your payment is going to be the same each month. Those that have a steady income and plan to be in their home for a long time can still benefit from the fixed rate mortgage, even if it means saving more money so you can buy a larger home. A fixed rate mortgage will always be the most recommended and most popular home loan because people like knowing what to expect. No one wants to see rates go up and suddenly be unable to afford their mortgage payment. If you want peace of mind, choose a fixed rate mortgage. Next story What To Check When Buying A Second Hand Car?